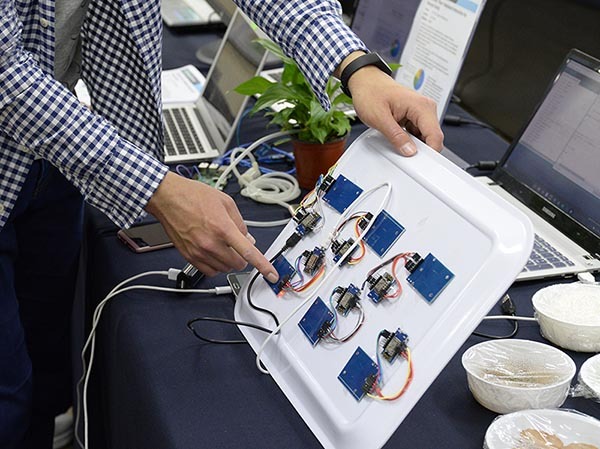 Mom’s Tray is a dietary monitoring system that integrates a smart tray with embedded sensors, prearranged and radio-frequency identification (RFID)-tagged food packages, and a mobile app to provide real-time feedback on food ordering and consumption in a school cafeteria setup. For the additional discussion on this research see ACM SIGGRAPH Asia 2017 Symposium on Mobile Graphics & Interactive Applications Proceedings. Smart Closet Android app can be downloaded here. 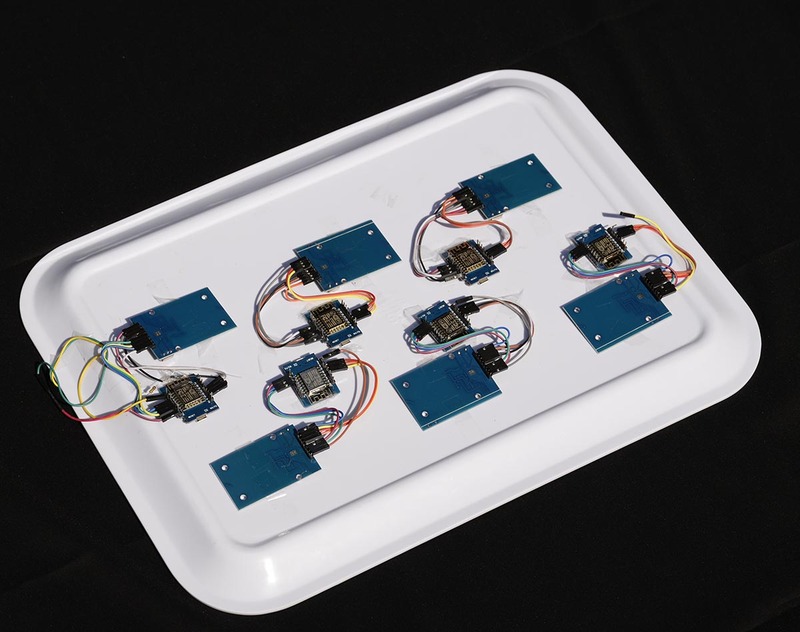 The smart tray deploys an ESP8266 microcontroller board, an MFRC522 RFID reader module (13.56 MHz), and an FSR-406 force sensor. It uses passive RFID/NFC tags to track food products placed on the tray. Additionally, a smartphone was equipped with a NSF tag used to associate it with the tray, matching trays and users. The force sensor measures the weight of the dish. 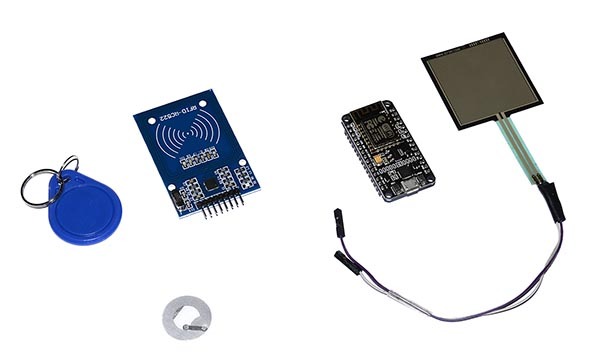 The microcontroller collects and transmits sensor data and food IDs to the MySQL database. On the server side, dish IDs are matched with types of food and their nutritional information. 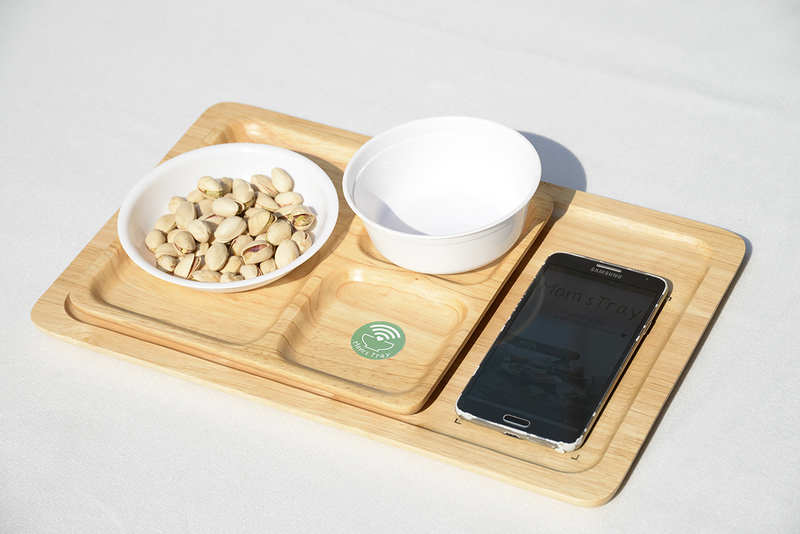 An Android app provides real-time interactions between Mom’s Tray users and the tray hardware. The application imports sensor data from an outside database and shows it to the user in an interactive way. The app’s user interface (UI) is composed of three vignettes tabs: personal record, statistics, and user settings. The record tab shows total amount of each nutritional category that is present on the tray. Nutritional information includes energy in kilocalories, carbohydrate, protein, fat, sodium, and cholesterol. The statistics tab shows the user’s history of consumption as both daily and weekly tallies. Users can interact with the charts to get additional information. 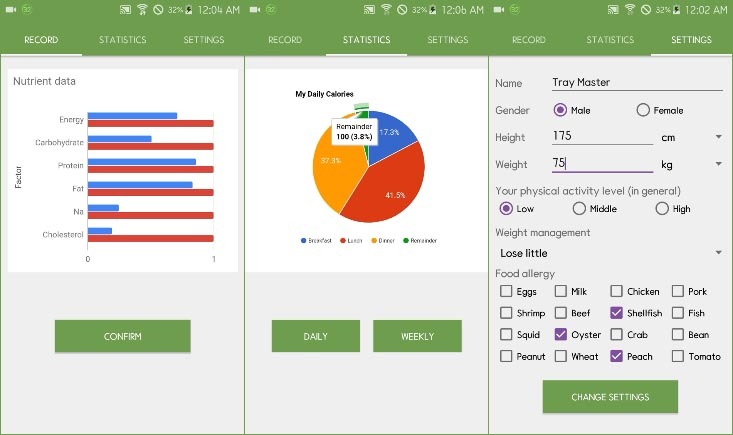 The app can be customized using the settings tab, which allows the users to input their personal information such as their physical state (e.g., gender, height, weight, and usual physical activities) and weight management goal. With the values, the application calculates the recommended intake of calories and uses it in other tabs. Additionally, users can specify their food-related constraints, such as allergies. Based on the information, the app warns users if they choose foods that may cause allergic reactions. 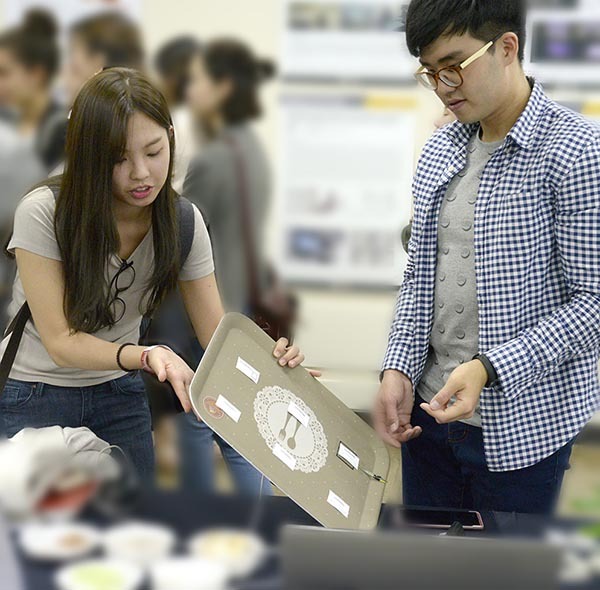 Demo Day @ KAIST was an opportunity to showcase an early prototype and get feedback. Quuone Jung demonstrates his project. 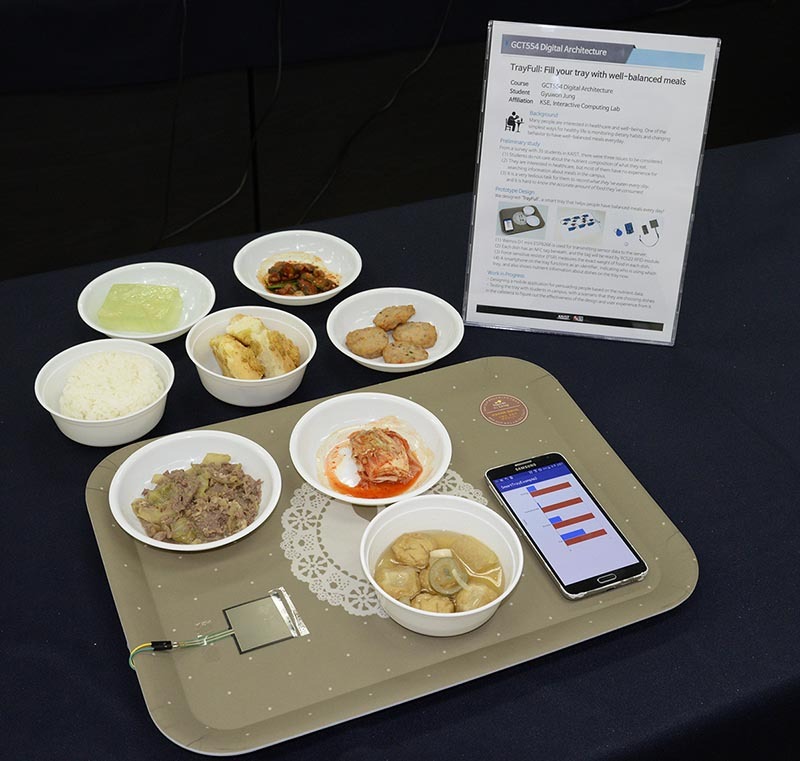 A mobile application for Android was developed to provide an opportunity for real-time interactions between Mom’s Tray users and hardware. The application imports sensor data from an outside database and shows it to the user in an interactive way. Android app developed as a mobile interface between the users and the smart (mam’s) tray. The app’s user interface (UI) is composed of three vignettes tabs: personal record, statistics, and user settings. The screen for each tab is shown in (left), from left to right, respectively. The record tab shows the total amount of each nutritious category that is present on the tray. Nutritional information includes energy in kilocalories, carbohydrate, protein, fat, sodium, and cholesterol. Only nutritional information is recorded in the app, since this information is commonly used in commercial products. The list could be expanded if users were interested in more categories. In the graph, the total amount of nutrition on the tray is represented in blue bars, while the recommended amount of nutrition is shown in red bars. This graph is redrawn with updated data every 3 seconds, which shows the reader the most recent nutrient information on the tray. The statistics tab shows the user’s history of consumption as both daily and weekly tallies. Users can interact with the charts to get additional information. With this graph, they can check the distribution of calorie consumption during the day and the remaining or excessive amount of calories based on the recommendation. They can check weekly information in the form of a line chart, so that they can see the trend of their dietary behavior.